The Tube Rental and Shuttle are fund raising projects of the San Marcos Lions Club. 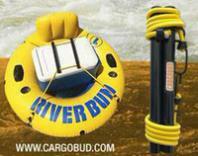 The tube rental allows the Lions Club to donate to over 100 charities and individuals in Texas. Please call the Tube Rental to make special arrangements for group reservations and discounts. Tubes and a shuttle - ($12). The upper San Marcos is easily tubed in the DIY style. Any of the parks offer access, and the best spot to exit is at Rio Vista falls. Most tubing trips will start at City Park, and end at the Rio Vista falls. Some adventurous folks go all the way to CR 299, though we don't recommend it unless you have knowledge of the water. Continuing downstream from CR 299 is dangerous and will take 12 hours. The next appropriate tubing on the San Marcos is from the CR 266 / CR 101 / Martindale access down to Sculls Crossing. All other access points are for reference only / kayaking. City Park to Rio Vista Dam: About 1 hour. City Park to CR 299: About 2 hours. Do not continue past this point in a tube! County Rd. 266 / CR 101 to Scull's Crossing: About five hours. Access is adequate at most crossings, but the availability of public parking is very limited. Please be considerate of others when accessing the river, and always park your vehicles where they do not block river access for others. Never park on or enter private property without securing permission from landowners. Thanks for visiting. If you haven't found the water sports, tubing, kayaking or rafting information you need, check out recommended pages for other sites. Please contact us with suggestions for any river recreation activity idea.